Thousands of local private tutors. We’ll find the perfect match for you. We understand that safety is number 1 priority when it comes to finding a new tutor. That’s why we do background checks and interview our tutors. Search and compare hundreds of tutors in your area and message them for free. If you’re in a rush or looking for something more specific, you can Request a Tutor where we’ll find the highest-rated tutors and put them in touch with you directly. All you have to do is choose your favourite. Once you’ve decided when and where your first lesson will be, whether it's in person or online, your tutor will send you a booking request. You’ll be asked to confirm the lesson by paying securely on the website. Tutorean is free to use, so you'll simply pay the tutor's rate with no extra or hidden fees. With online messaging, scheduling and continuous feedback, you can expect to enjoy a thorough and rewarding learning experience. The two-way reviews will help both you and your tutor understand how to get the most out of each and every lesson together! Every tutor has been hand-picked, so we’re confident each one is amazing. If you are not 100% satisfied with your first lesson, we will give you another one for free. 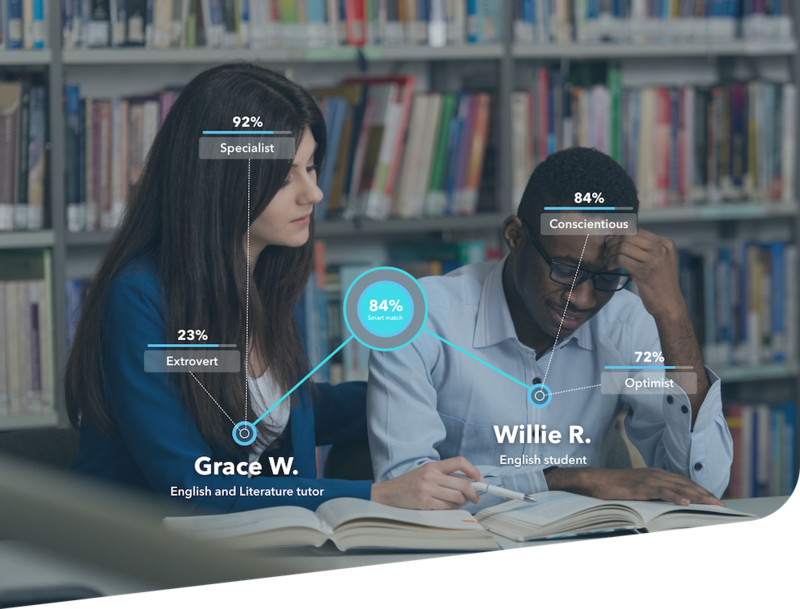 Our Smart Match engine identifies how you think and learn, by asking strategically designed questions that pinpoint key characteristics of your personality and learning style. Your unique ‘fingerprint’ is the input of our matching engine, which draws upon all of our previous tutor/student interactions and applies machine learning to recommend the ideal tutor for you. "I used Tutorean to find a tutor for my 12 year old son, James. We sat down together to take the learning questionnaire and the website showed us tutors who's teaching style matched up. It's been a month now and James' grades are already starting to improve, but really it's his newfound confidence in maths that's been so pleasing to see!" "I was looking for someone who could mark my maths past papers and explain my mistakes. I feel that's how I learn best. I quickly found a tutor on Tutorean and so far he's been brilliant."